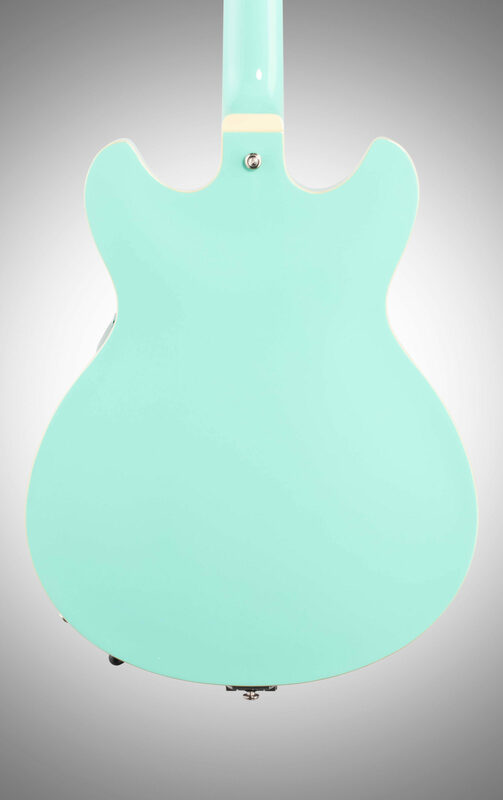 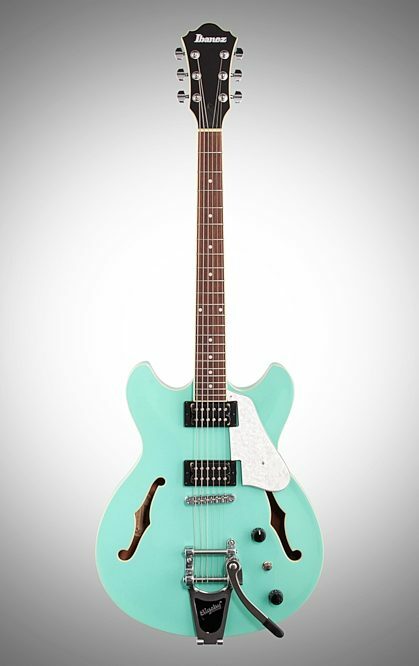 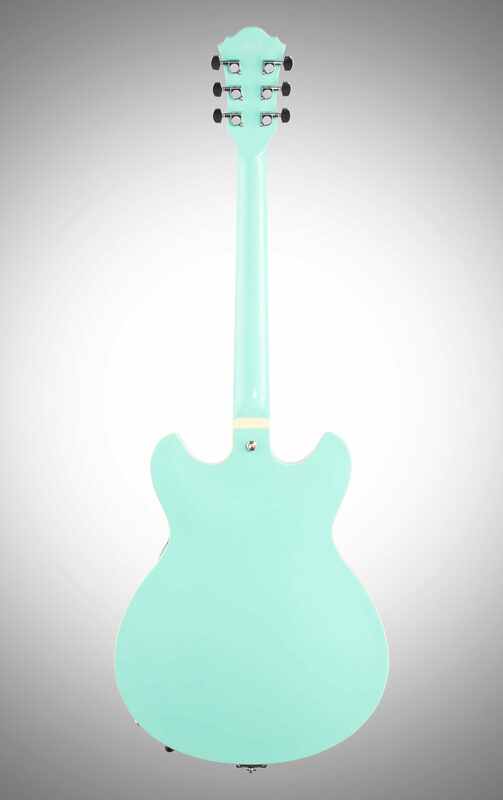 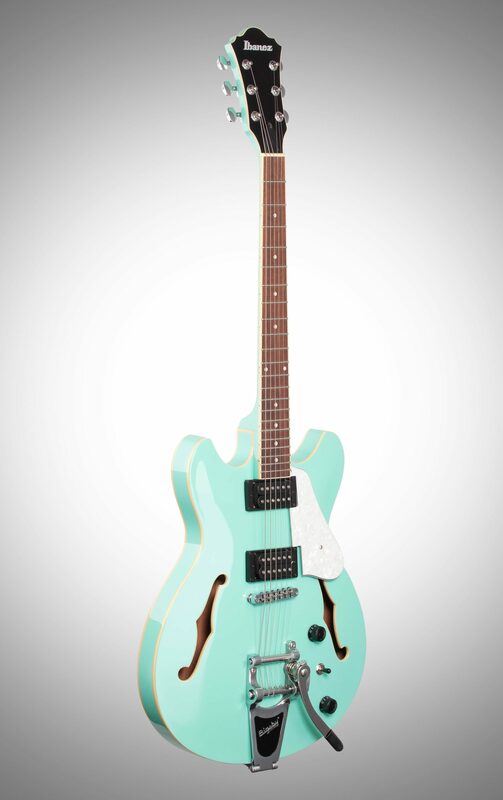 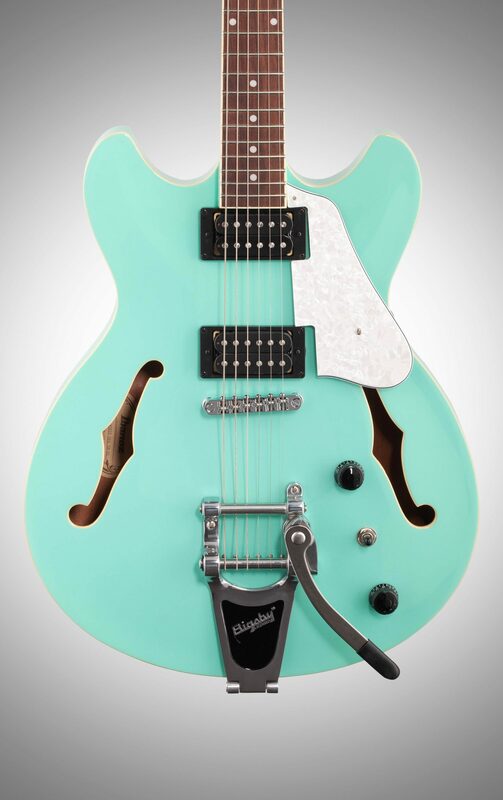 The Ibanez AS63T Artcore Vibrante Semi-Hollowbody Electric Guitar features a standard semi-hollow body construction for a warm acoustic tone without feedback. 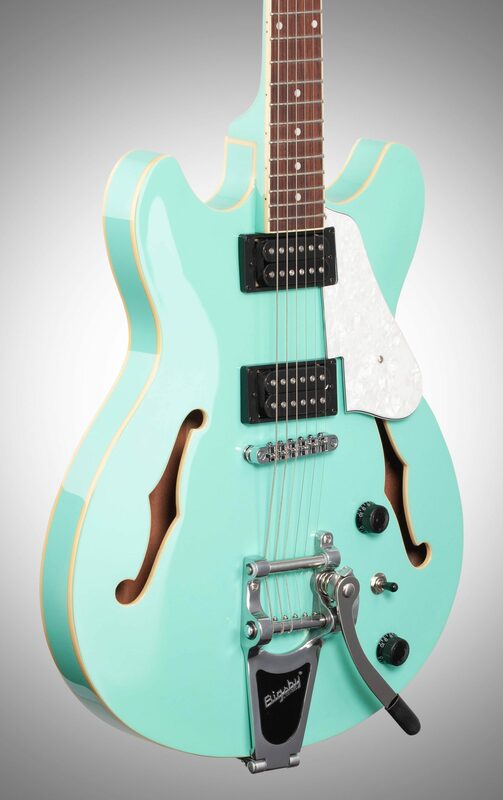 The combination of a striking finish, white dot inlays and a white pearloid pickguard produces the look of a modern classic and a Bigsby B70 Vibrato adds vintage nuances to the rich tone of the semi-hollow guitar. 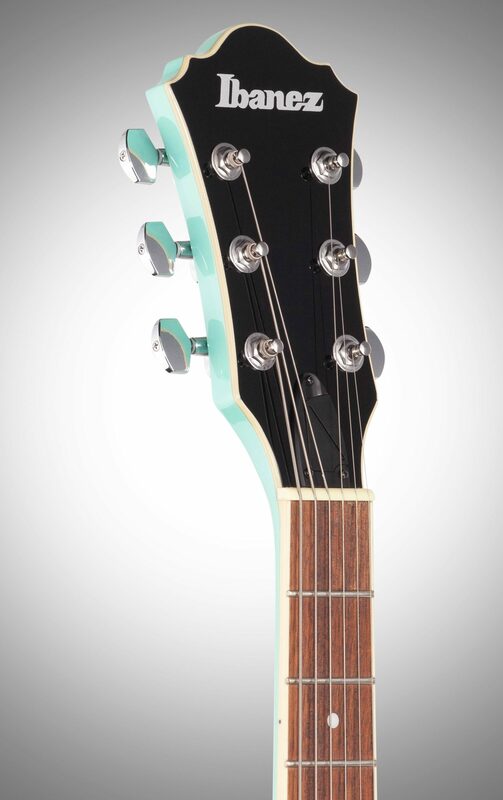 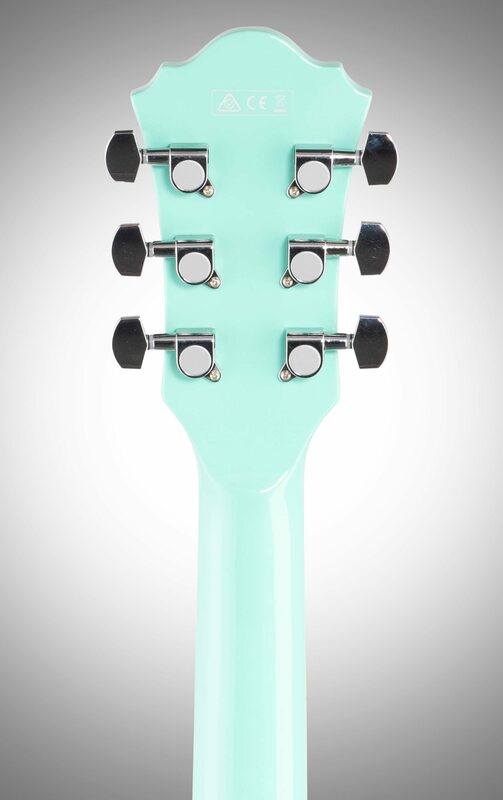 The AS63T unites function and eye-grabbing looks to create a great choice for every guitarist.